Without doubt one of the most rewarding parts of our job as tour operators on the beautiful Sapphire Coast are the wonderful comments we receive from our guests. Not only do they rave about the service, the comfort of our camp, the food, the wine – but almost all make mention of the diversity of wildlife to be seen along the Light to Light Walk, both during the day – and by night. What was the best thing about the tour? You don’t have to be an avid birdwatcher to appreciate seeing a critically endangered Eastern Ground Parrot or to watch a Superb Lyrebird going about its business. 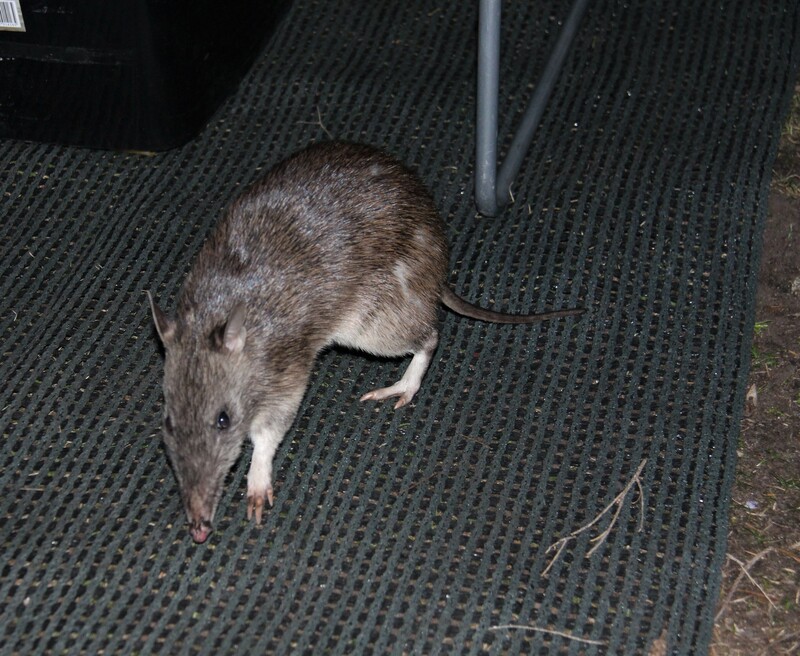 It doesn’t matter that you have never heard of a Long-nosed Potoroo before – but to see one of these very cute little animals casually wandering through your campsite at night while you kick back around the campfire is something pretty special. And then of course there’s the cheeky brushtail possum, the opportunistic furball that is almost always on watch as soon as the sun goes down, hoping that one of our guests might accidentally drop a tasty morsel for them to savour. With a luxury camp set up to take care of your every need – hot showers, thick comfy mattresses, cosy sleeping bags (complete with hot water bottles) – there’s no real reason to leave the park overnight. And of course, as your hosts, we are in camp right there to pamper you. More wine? Sure. How about a little choccy with that cuppa before bed – not a problem. Can you walk me to the loo just one more time – no worries. There’s a certain feeling of accomplishment to be able to return to surburbia and tell others how amazing it is to camp out in the wilderness. You don’t even have to admit how easy it was – you can impress them just by saying you went camping. They don’t need to know how easy it was, do they? This Walk is attracting more and more attention for its superb coastline of ancient (360 million year old) red rocks against a backdrop of vivid sapphire blue waters and secluded white beaches. 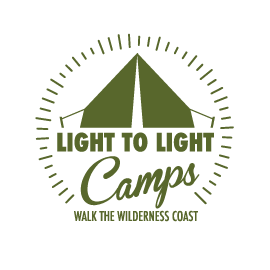 Go on – take yourself out of your comfort zone and camp with us – in comfort! You’ll get to experience some of the most amazing coastline in the world, see wildlife up close and personal and still sleep in 5 star luxury. What more could you want? Email us here or give us a call – 0429 961 047. We know you’ll have questions – and we’re ready to answer them.